Imagine a Japanese game show. There are bright lights, eccentric personalities, and an eager audience. As a foreigner, you’re not sure whether to laugh or marvel at how differently they just do things in Japan. 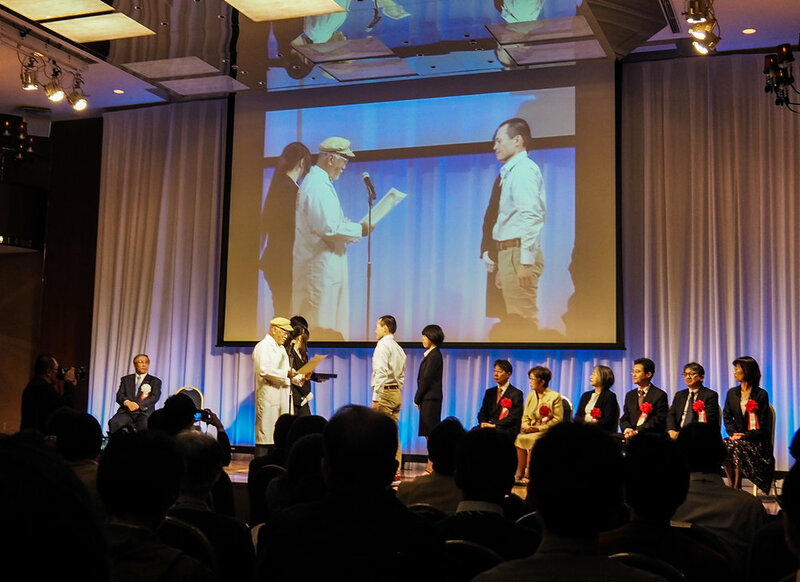 The ALL JAPAN Cheese Awards wasn't exactly like a Japanese game show. But I still can’t figure out if I was caught off guard or mesmerized. In Japan, there are two separate cheese judging competitions each held biannually. The younger of the two is the Japan Cheese Awards, which just started in 2014 after laws protecting the names of cheese and dairy products in Japan were adopted in 2012. Held on even years and organized by the non-profit Cheese Professional Association, the Japan Cheese Awards provides an evaluation of domestic cheeses by cheese professionals working in the industry. It was an important opportunity to feel out another side of the Japanese cheese culture, to understand who is participating. This was my first Japanese cheese contest. I was excited to be surrounded by cheesemakers, professionals, and shop owners. It was an important opportunity to feel out another side of the Japanese cheese culture, to understand who is participating. While there were many moments where I didn’t understand the rapid-fire cheese lingo with long strings of keigo (formal Japanese), the experience was extremely educative. As an invitee, I attended a panel discussion with cheesemakers and the Minister of Agriculture, the final judging and awards ceremony, and the cheese tasting event on November 1st. The final judging of 9 cheeses was on stage. To start, the final judges were introduced like rockstars. Each was followed on stage by a spotlight and music. There were 8 men and 1 women, each with dignified positions in society. I read “Final Judging” on the information booklet, but didn’t take it literally before this moment. The spotlight, music, and walk-on of each judge were unexpected. I wasn’t sure what the pomp and circumstance meant. Were they actually judging the final 9 cheeses in front of an audience of cheesemakers and cheese professionals? This was the Japanese game show I was taken aback by. While this may seem like a segway to criticism, I assure you that it’s not. It’s a jaw-dropping emotion I feel somewhat regularly in Japan. I was flummoxed by the fact that they were doing this publicly. Wasn’t everyone else’s stomachs in knots like mine? Each of the 9 judges presented one of the final cheeses that were awarded the best of each category. The tenth person was an eccentric character dressed in a white lab coat with a bow tie. It was his job to show the cheese around the stage to the audience, like an older, Japanese grandpa version of Vanna White. At the end of each cheese’s presentation and walk around the stage, the judges tasted and raised paddles with numbers. These were tallied and the final verdict decided. Whispers and murmurs rose in the crowd as the next cheese was brought out to go through its own showcasing. I sat there opening and closing my mouth like a fish out of water. For each of the 3 final awards, they created a sense of anticipation. After the final judging finished and a quick break, they announced the winners of the 4 awards. A beautiful young announcer slowly read out the year, event name, and award name in full drama as the lights dimmed and everyone grew silent. Then suddenly the slide on the large projector changed and the winner’s name and cheese appeared. Across the room reverberated a collective sound of amazement, followed with rapid applause. No cheering, they don’t cheer in Japan unless it’s in unison. 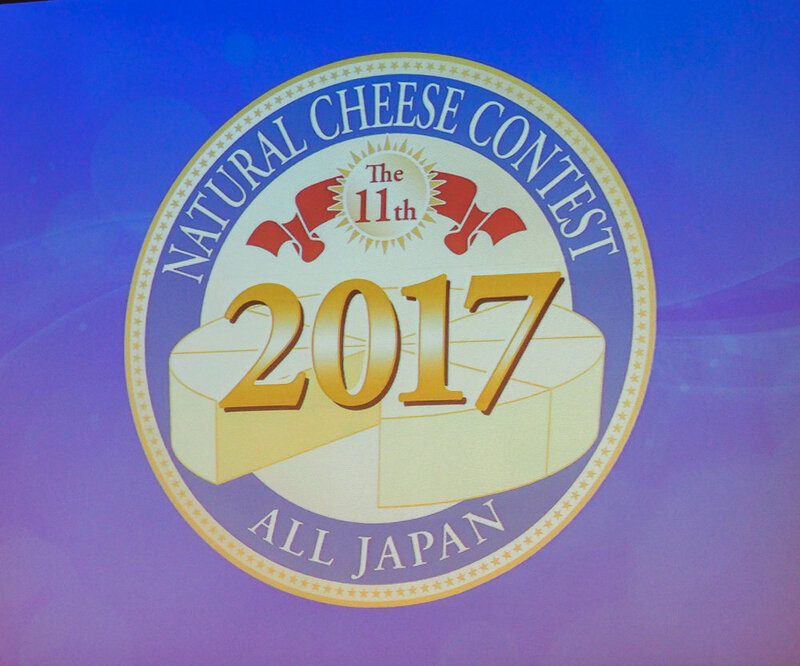 Without further ado, here are the award winners of the 11th ALL JAPAN Cheese Contest. Like any good cheese contest, all of us who sat there watching people taste and judge cheeses were released to go taste cheeses afterwards. The winners had long, well-formed lines in front of their tables. For me, this was the best opportunity I’ve had to meet cheesemakers from all across Japan. I collected a suitcase-fillable number of brochures, ate an ungodly amount of cheese, sipped some delicious Japanese wine, and was on my way into the crisp Tokyo evening.